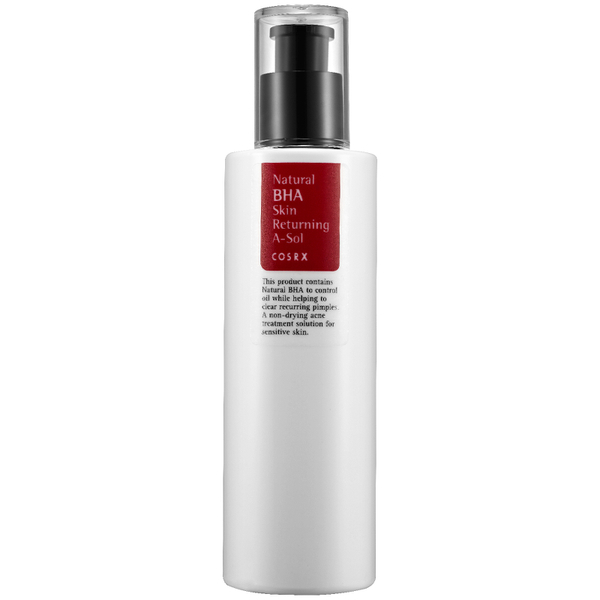 Meet the needs of oily skin with the COSRX Natural BHA Skin Returning A-Sol Toner; an effective formula that offers skin a thorough cleanse and a shine-free finish. Combining BHA and Black Bee Propolis, the toner effortlessly melts dirt and dead skin cells from the surface of the skin. Without stripping the skin of moisture, the formula provides an additional cleanse after face wash, which leaves the face ultra-clear and refreshed. In mornings/evenings after facial wash spread thinly on the troubled areas - areas with dead skin cells and excess sebum.